While so many diets claim to work magic, the real secret is eating food that your body can digest. This recipe works wonders on your digestion and is a sort of reset button to bring everything back into equilibrium. 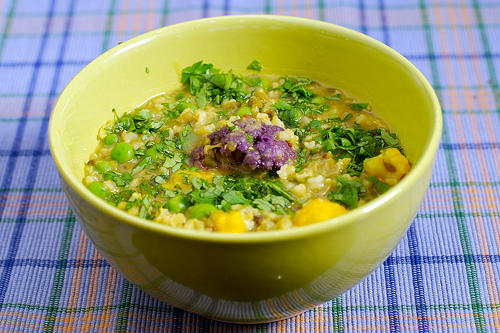 I first tried kitchari (also called kichidi) seven years ago when my digestion was in a horrible state–I was bloated, irritable, and felt like whatever I ate wouldn’t cooperate once inside my stomach. 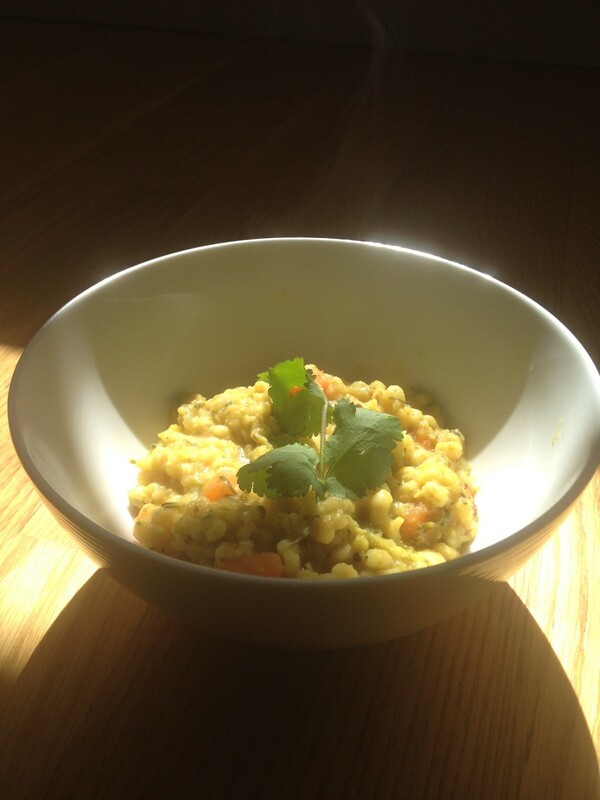 My ayurvedic practitioner suggested this simple recipe–called kitchari, or as my husband calls it, “gruel”–that is very easy to digest, easy to make, and is actually pretty tasty. After a week of eating nothing but kitchari, I have to admit my mind was clear, I felt eerily calm, my stomach was flat, and my digestion felt healed. You can try this for a meal or go for a full week to really get the full healing power. This recipe is perfect for summer (winter, fall, and spring would be tweaked slightly in spices and veggies). If it’s really hot where you live, let the kitchari cool a bit before eating.